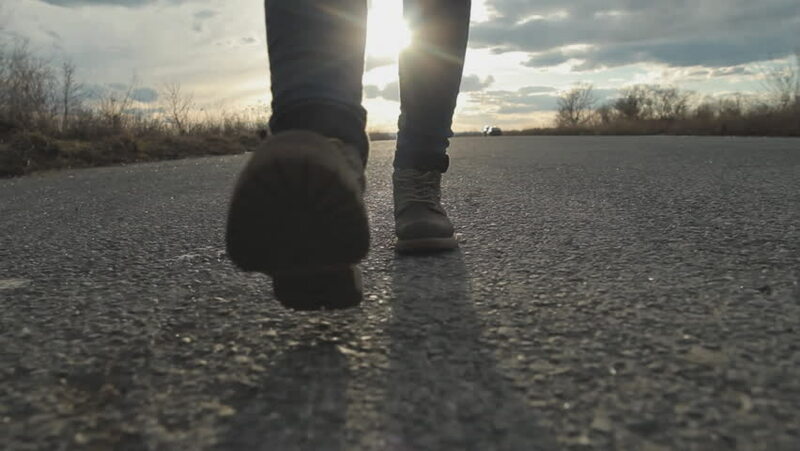 Thanks to our reader Antonella for the idea! 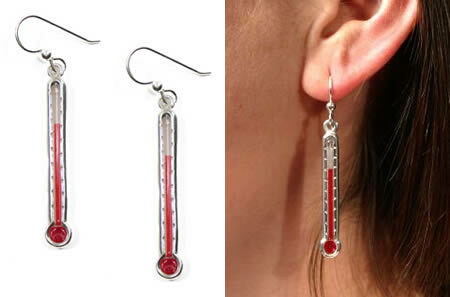 Like a thermometer, these Thermoscope Earrings created by LeeAnn Herreid register temperature changes with red alcohol that rises and falls, so while you don't know exactly how warm the Earth has gotten with global warming and all, you can still look pretty hot wearing them. 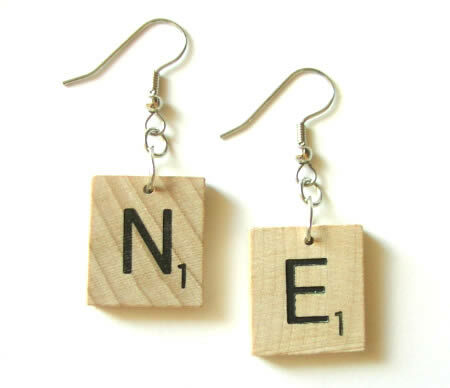 You can order any combination of letters for this awesome Scrabble Earrings, although they seem to have a backorder on letters J and K.
PETA, anyone? 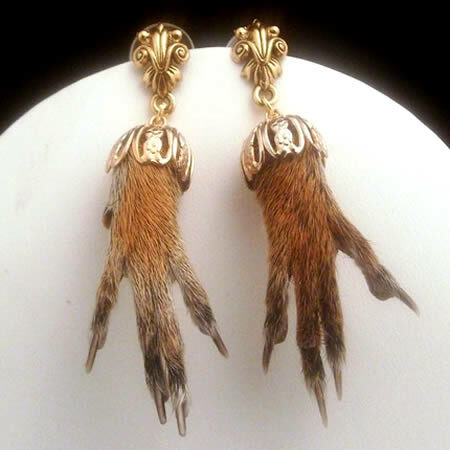 This is a pair of genuine taxidermy squirrel feet earrings. 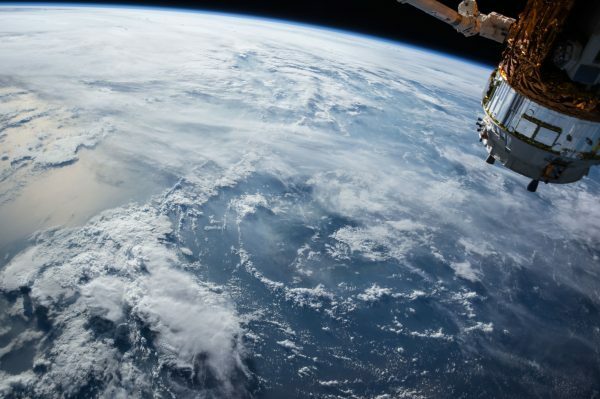 They hang from ornate Victorian-inspired posts and measure 1 1/2? 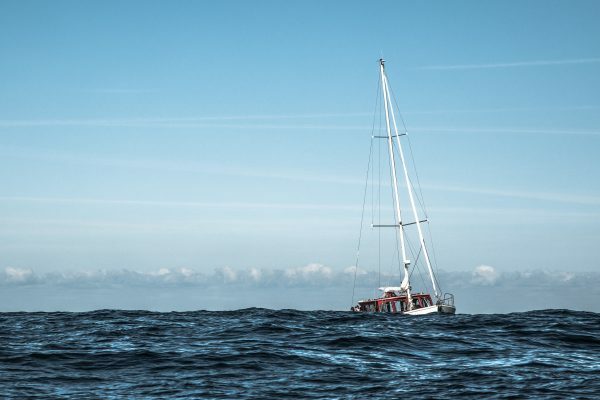 long without post. 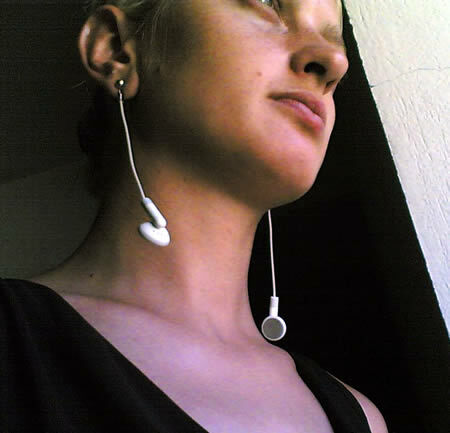 These iRings are a pair of iPod earbuds, mutilated and turned into a little girl`s (well, at least I hope) fashion statement. 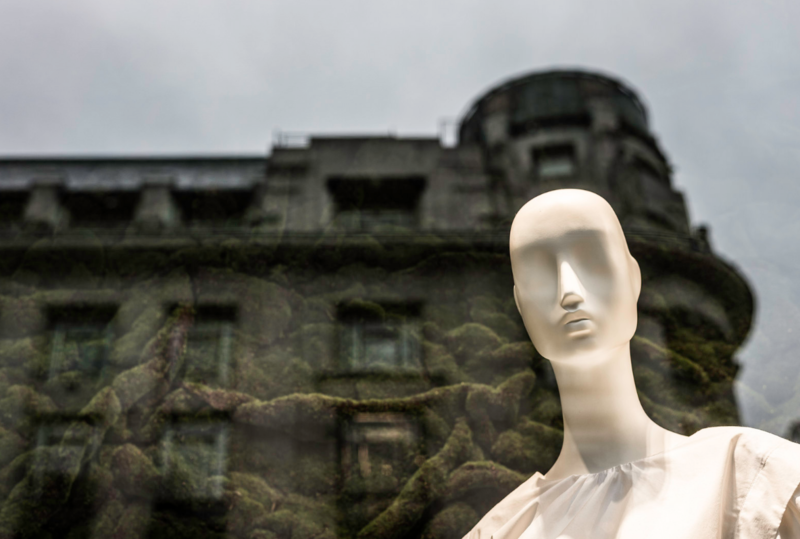 The iRings are not available in stores yet, but hey, how hard could it be to turn earbuds into earrings? 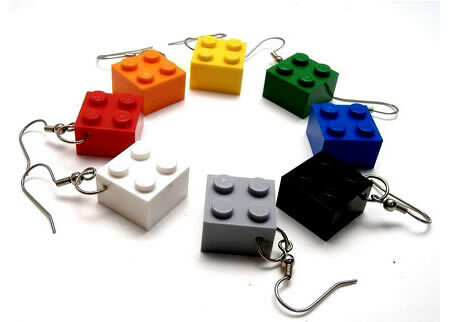 Made from real blocks, don't leave these Lego Earrings near children without supervision, or else you might have a surprise. 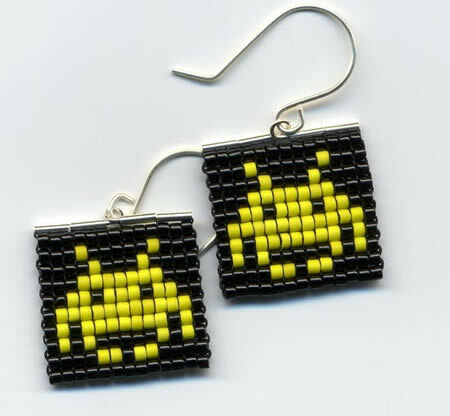 These fun Space Invaders Earrings are made from hand woven panels of delica beads, each one measures about 2.5 cm squares and they come in a variety of colours. 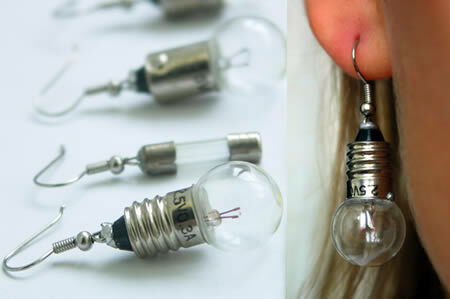 Bulb earrings, from Russia with love. 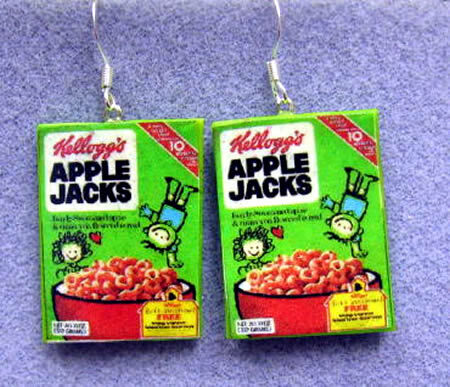 Now this would be fun to wear, a pair of retro Apple Jacks Cereal earrings. 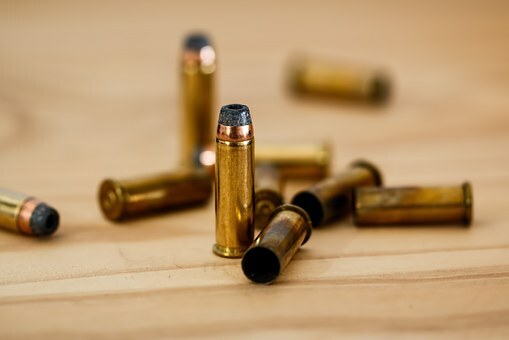 You can actually buy them online. 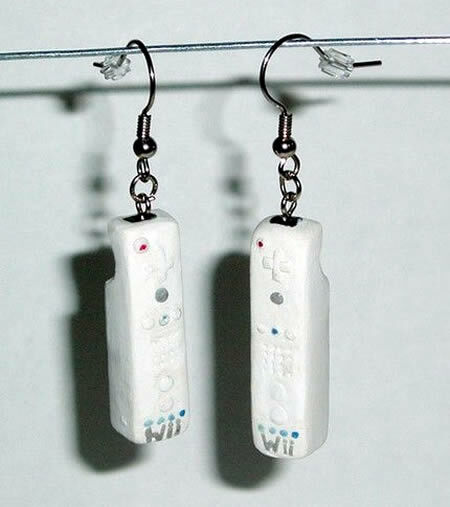 The artist claims to use sculpey clay along with a single coat of satin glaze finish to construct these Wiimote-based earrings for you to pick up. Best of all, these oh-so-cute items aren't outrageously priced, ranging from just $6.50 to $15 before shipping. 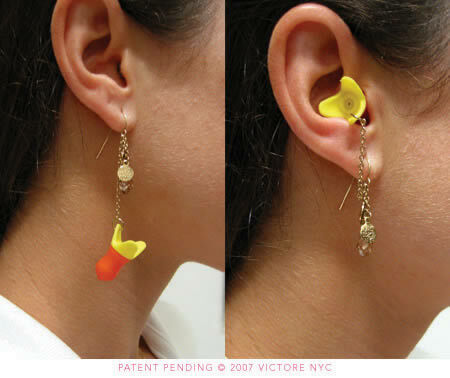 Created by designer Laura Victore, with this fun and functional earplug earrings called Ladybuds you'll always have a handy hearing protector with you at all times. 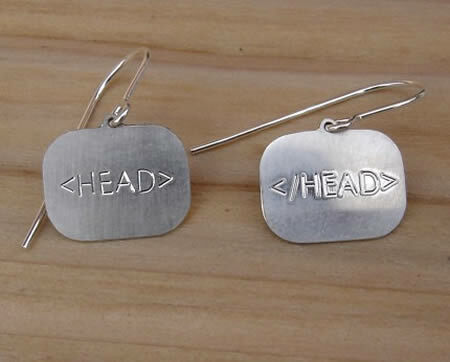 While we cannot ensure Google will properly index the contents of your brain, these HTML earrings could help. 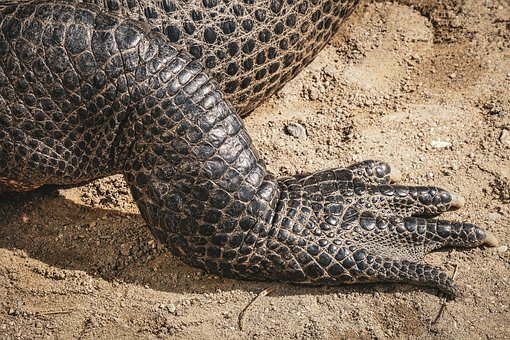 Always close your tags! Believe it or not, these Spock Ear Earrings actually won The Overall Design Award for the Bridal Wear Category at the 9th Indian Jewellery Design Competition. If you really are into the elf ear look, however, there is a surgery now you can have to make the permanent change, called "ear sculpting".